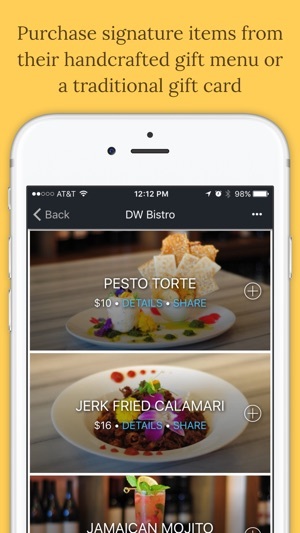 ItsOnMe is a mobile gifting platform that allows anyone to discover & send e-gift cards for award-winning local bars & restaurants. Simply choose a delicious gift from our carefully curated list of venues, then pick a lucky friend. 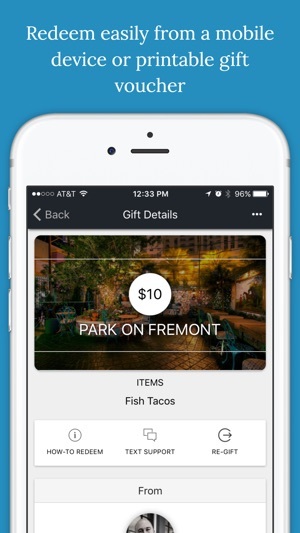 The recipient will be instantly notified of the gift via Facebook, email, or text message and can use their phone to redeem the gift whenever they are ready. No plastic. No shipping. No expiration. ItsOnMe is the easiest and most secure way to send digital gifts. Say "Thanks," "Congrats" or "It's on me" to friends, family and clients from anywhere, at any time. 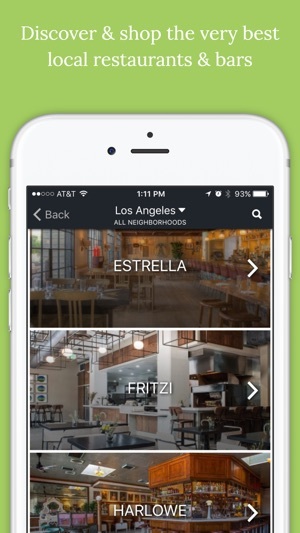 ItsOnMe recognizes that entrepreneurs and small businesses are what make our neighborhoods unique. We continue to hand-selected locally owned and operated venues to be part of our digital gift card platform. When you gift with ItsOnMe, you can be sure you are supporting small, local businesses and community. 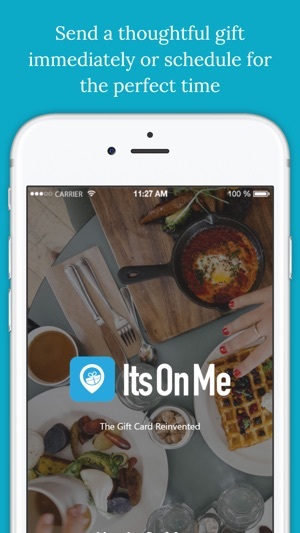 Think global and gift local with ItsOnMe today! Access your Merchant Tools redemption features directly from our regular app - just click on "Merchant Tools" on the "More" tab. * For merchants on our tablet or app based redemption - we've moved from 4 digit to 5 digit redemption code. This update corrects labels referring to the old 4 digit codes. I really like this app! I'm on the East Coast an have friends in both LA and San Diego and I like being able to surprise them with a drink from across the country! Especially because I chronically forget my friends birthdays until the day of. I find it super easy to use since it's just a couple taps on my phone and done, and now my friends are starting to reciprocate back which is even better! Yay drinks for gifts! So not only can’t I see my gift card, the app won’t let me do anything and no one is responding to my requests for help. IF someone stole my gift card I should still be able to see it. And none of the reset links on their website work. They just take your money and rip you off. I’d be happy to change this review if someone from itsonme would get back to me. @Missy1173$ So sorry to hear about your experience. We have our support team nearly always available via text at (310) 235-3835 and email at support@itson.me. We show no customer service emails or texts from you in our logs. Please contact us on either the above methods and we can help you gain access to your gift immediately. 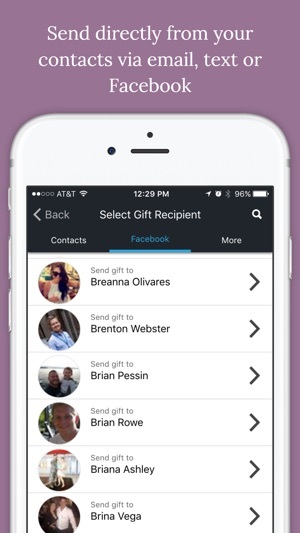 I travel a lot and don’t live anywhere near any of my friends or family and this let’s me send them gifts instantly. So glad to have something like ItsOnMe on the market for us travelers.